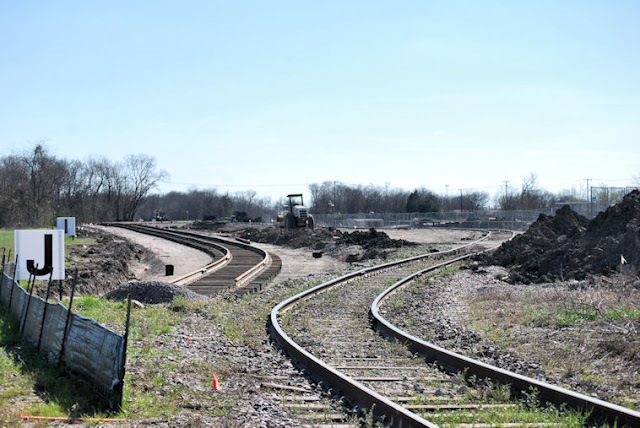 Terrell Daily Photo: Skywatch Friday-Rail service coming to Terrell? Amtrak and TXDOT have announced they will be conducting a feasibility study to start a new passenger rail service between Dallas-Ft. Worth and Shreveport, LA. The new line could include stops in Forney, Terrell and Wills Point. Read the full press release here. I am not sure how often I would take the train to Shreveport, but I would love the opportunity to take a train into Dallas all the way to the airport. This was taken just this week, just south of Highway 80 looking south. This is the along the ROW for the Highway 34 bridge over 80. We have had Springlike weather for a while. High temperature today is supposed to be 75, a cool front will move in and lower temperatures to the 60s tomorrow.